For your convenience, you can order the vitamins here with auto-renewal options available. EyePromise professional supplements are all-natural products and their patented formulas contain the highest levels of zeaxanthin of any supplement avail be. This is important because zeaxanthin helps build up your macular pigment to help reduce the risk of age-related macular degeneration (AMD). There are a variety of vitamins offered from ZeaVisin, but regular intake of your doctor recommended supplement is important. 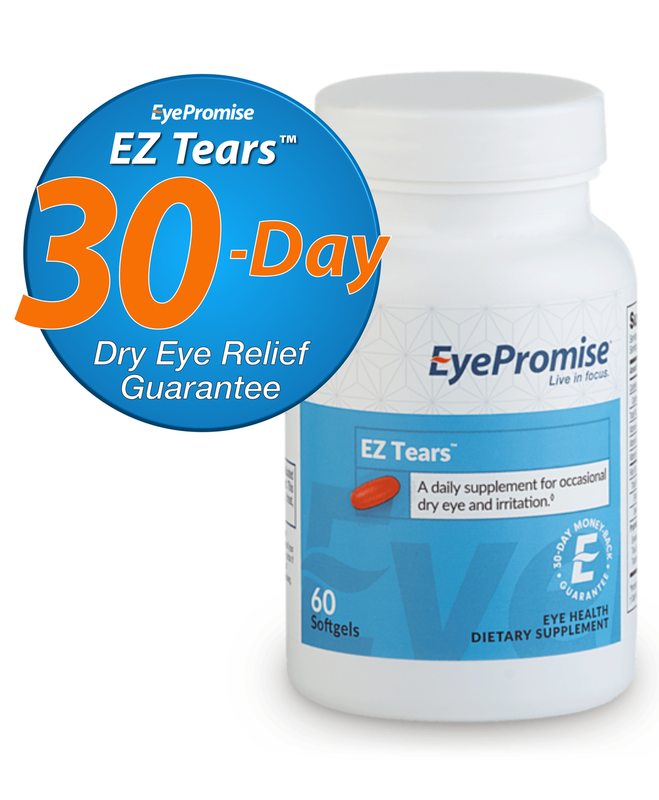 Try EyePromise EZ-Tears by selecting it from the drop down menu at the link below.